Click here to recieve a notification when this fish is in stock. 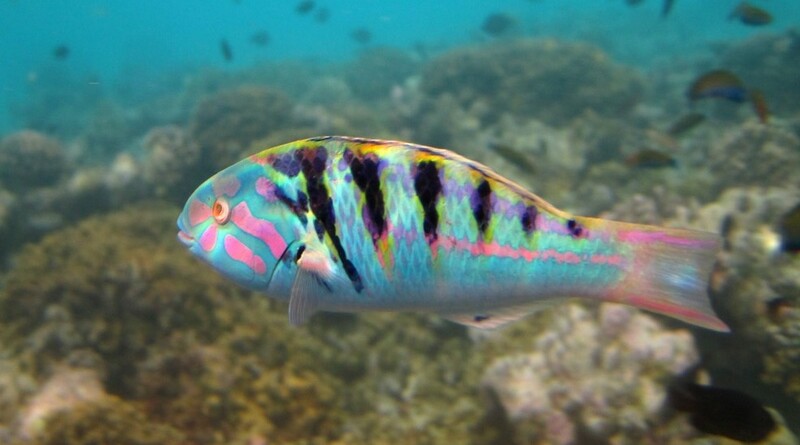 The Hardwicki Wrasse or Sixbar Wrasse has a light pastel green body with six black vertical bars running down its body and iridescent pink lines surging out from around the eyes. It is a very interesting fish as an adult. This wrasse needs to be put in last in a community tank due to its territorial nature; it can be housed with semi-aggressive fish just fine. Have lots of good hiding places and thick sandy substrate. Will eat invertebrates. The wrasse will consume a wide variety of foods. Feed vitamin enriched frozen and dry foods. Train your wrasse to eat Ocean Nutrition Pellet Food for a healthy diet.